700 people could have died in the attack in Nairobi but didn’t because of security measures in place and the immediate and effective response of authorities. Thanks to steel doors in the hotel many guests and staff were able to keep themselves safe during the attack. The attack on the Dusit2 Hotel in Nairobi is over. 16 people were murdered plus 5 Shabaab militants attackers were eliminated in this terror attack. One of the victims is Jason Spindler, an American who survived 9/11 in the World Trade Center New York. This was declared by Kenya’s president Uhuru Kenyatta. The outcome of the attack is that there were victims and this is tragic, but there are many more survivors and so many heroes, some nameless in Nairobi. 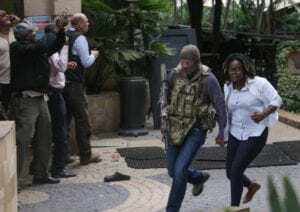 At dawn yesterday, Kenya Special Forces hunting the terrorists who had stormed dusitD2 hotel had a message for their superiors: They knew where the attackers were hiding and had a good chance of taking them out. Mr. Kinyua’s team was closely monitoring the operation from Harambee House. Mr. Kanja, the commander on the ground, also told the National Security Advisory Committee, whose membership includes Interior Cabinet Secretary Fred Matiang’i, that the officers were able to pinpoint where the terrorists were holed up in the upper floors. The officers were in corridors of the hotel that has seven floors. A decision was made to make “a final push”, meaning confront them with all the power necessary. At about 4 am, Kanja’s team was given the order to end the siege, which had begun on Tuesday at 3 pm, when the terrorists stormed the 14 Riverside Drive complex, shooting indiscriminately. The Special Forces swung into action. Two of the terrorists were blown up using high-caliber weapons by marksmen who had their sights on them. At about 7 am, two other attackers were killed. Their weapons, with about 200 bullets each, were taken away. About eight grenades were recovered. The first terrorist, a suicide bomber, had died in the early moments of the attack. He had been shot and injured at the entrance of the hotel when security officers manning the Australian embassy, which is about 100 meters away, responded to the initial gunshots. When the injured terrorist arrived at the main hotel lobby, he hurled in two grenades but they failed to explode. He detonated his suicide vest, killing himself and five other people. He was dismembered. One of his limbs was found about 40 meters away from the point of the explosion. They all died as they battled to kill. 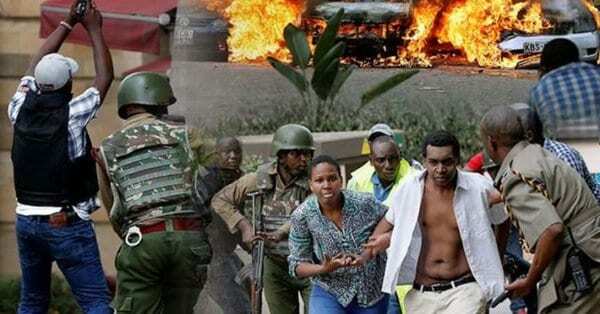 Police have said one of the terrorists was a Kenyan identified as Salim Gichunge. He stayed in a rental house in Muchatha area, Kiambu County. Two suspects, whom Director of Criminal Investigations George Kinoti termed as key in the operation, were arrested from Ruaka and Eastleigh. He said they were providing crucial information on how the attack was planned. The suspects apparently include a woman who lived with Gichunge. Teams of detectives were assembled and sent to various places to investigate the incident and book all those involved. The teams visited the offices of the National Transport and Safety Authority and other agencies. One team was sent to police headquarters’ IC3 control room to get details on the movements of the car used by the gang. On Tuesday as the attack unfolded, an emergency National Security Advisory Committee (NSAC) was called at Harambee House. The meeting decided to send Kanja to the scene to be the overall commander of the operation. According to those aware of the meeting, Kanja was ordered to mobilize special forces from the Recce Squad and take charge of the scene. The team ordered Inspector General of Police Joseph Boinnet and his deputy for Administration Police, Noor Gabow, to stay in their offices and update the media regularly on the progress. Mr. Boinnet’s deputy, Njoroge Mbugua, and Director of Criminal Investigations head George Konoti were told to join Kanja at dusitD2. A meeting went on until about 11 pm when they briefed the media on the progress of the rescue mission. Members of NSAC include Matiang’i, his Foreign Affairs colleague Monica Juma, and Defence’s Raychelle Omamo and their principal secretaries, together with the one for Immigration. Attorney General Paul Kihara, National Intelligence Service Director General Philip Kameru and the military service commanders for the Kenya Army, Navy and Kenya Airforce are also members. They kept briefing President Kenyatta on the progress of the operation. The president was in Mombasa at the time but flew back to Nairobi yesterday morning. By 5 pm, the teams were on the ground pushing the terrorists to the upper floors of the hotel. The terrorists were unable to kill or injure as many people as they had planned because of the measures the residents of the office blocks and hotel had taken. “When people heard the blasts and gunshots, they locked themselves in rooms that were barricaded by metal grills. This deterred the terrorists’ movements,” said one officer. Some 700 people were rescued from the complex. “The NSAC team never slept and kept monitoring the progress from the office,” said another official. The NSAC members drove to State House at about 9 am Wednesday for a National Security Council meeting that the President had convened, and briefed him on the developments. He commended the security teams for the swift response that saw many people saved. Police responded to the attack almost immediately, engaging the terrorists for 12 hours. The first to respond were officers from the nearby Australian embassy. They shot at the five terrorists, pushing them into the hotel’s main entrance. One of them was seen limping into the hotel compound, appears to have been injured. A handful of private gun holders also joined the battle. The officers managed to deflate the tires of a car the terrorists had used, stopping it about 40 meters away from the main security barrier to the hotel. Initially, police thought it was a robbery at a nearby bank, but as the explosions continued, the matter called for serious attention. Traffic police manning nearby roads diverted the flow and allowed emergency vehicles to the site. Three cars that had been parked at the entrance of the hotel went up in flames after the attackers hurled a grenade at them. More police officers arrived a few minutes later, armed with sophisticated weapons. They walked into the compound and rescued dozens of those trapped inside. Among the response teams were officials from various embassies, especially those from the US, UK, and Australia. Special Forces from the Recce Squad and the military also arrived to help contain the situation. They had sniffer dogs that they used to search most of the hotel’s 101 rooms. Police said they recovered at least three live grenades at the entrance, where at least five bodies lay. The grenades had apparently been tossed at the guards who had tried to stop the terrorists from entering the hotel lobby. Lets not allow ourselves to be divided by terrorists into tribal, religion or color lines. We are one nation. And Alshabab is Somali. Thanks for the clarification…Let’s not blame every Somali.I have worked in Somalia for long and they are one of the best people I have worked with as host communities. May the souls of our brothers and sisters rest in peace. Great work from our officers. God bless Kenya and protect us. As a Somali, Like many other Somalis, i do not Support Al Shabaab but we are humiliated and disrespected because people tend to think “Every Somali you see is Al shabaab” . People should bear in mind that Somalia is not Alshabab. You are at your strongest when you are calm. Kenya has shown it all Bravo! !